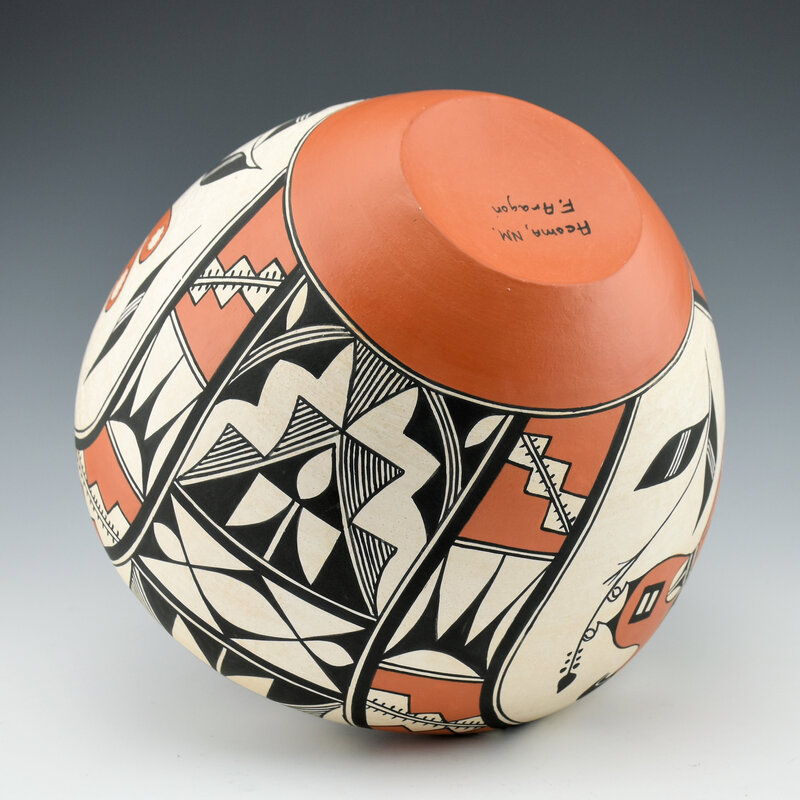 Florence Aragon was one of the great traditional Acoma potters. 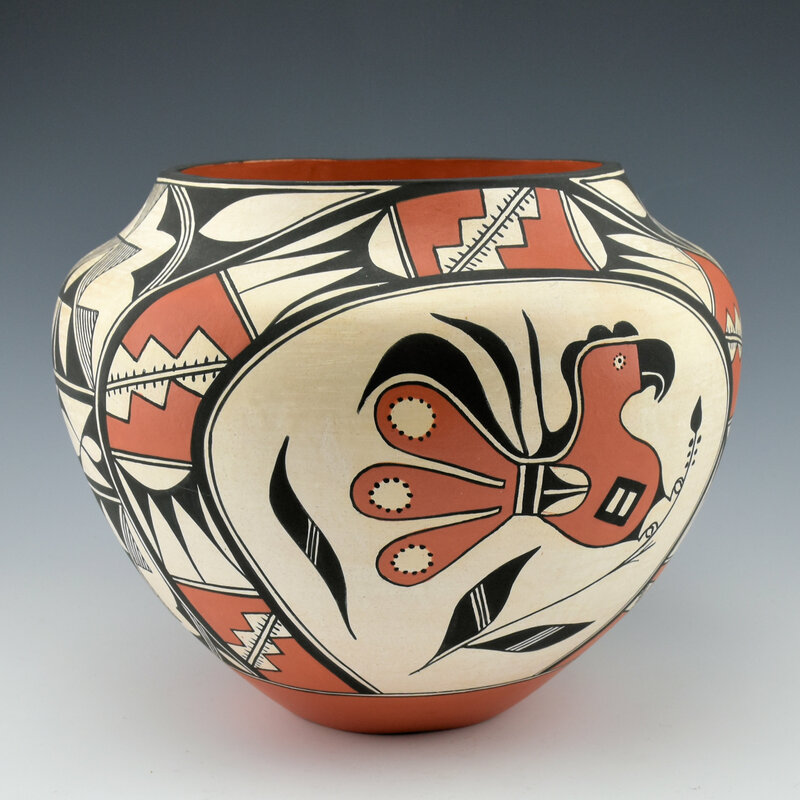 This water jar is indicative of the influence of her pottery and the continuation of traditional designs and forms. The jar is the traditional water jar or “olla”. The high shoulder and sloping neck are part of this form. The jar is painted with Acoma birds on two of the sides. Above the birds are a rainbow band, which is designed with cloud and lightning patterns. Separating the birds are two sections with cloud and rain motifs. 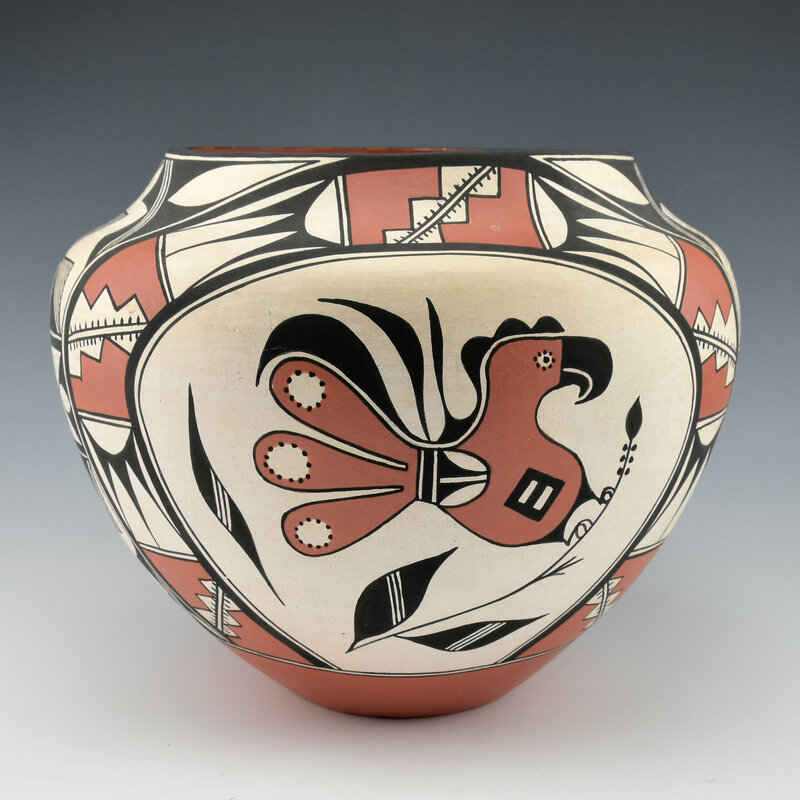 The thin lines and tight painting were signatures of Florence’s pottery. The bottom of the jar is indented in the traditional manner when the pots were made to be worn on the head to carry water! 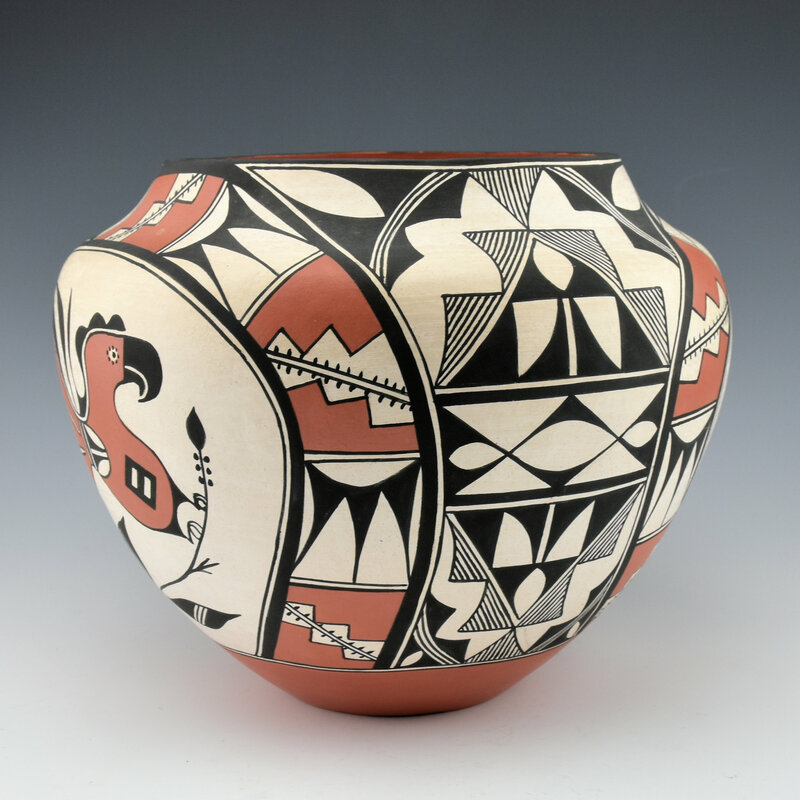 The jar is signed on the bottom in the clay, “F. Aragon”. It is in excellent condition with no chips, cracks, restoration or repair.